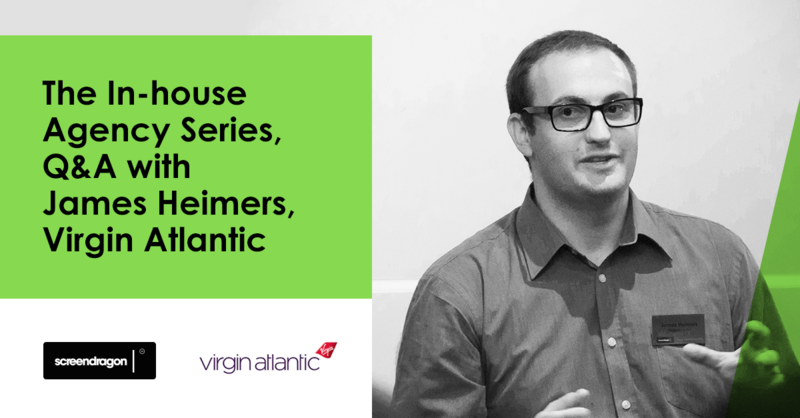 In the second part of our In-house Agency Series we sat down to talk with James Heimers, Manager, CRM Planning and Insight at Virgin Atlantic and a Screendragon client. James recently led a big transformation initiative to implement an in-house agency model at Virgin Atlantic. We talked to him about his journey – the challenges, triumphs and learnings. 1. Why did Virgin Atlantic decide to set-up an In-house Agency? It’s something that has evolved over a period of time. We previously used a full-service agency model. We were sending out email campaigns from an outdated platform and we needed to move to a new alternative platform. In order to get the investment for that we had to build a business case. While in the process of doing this, we came to realise that our goals – to improve customer satisfaction, speed-to-market, and to increase net revenue – just couldn’t be achieved with a full-service agency without a significant increase in cost. From Gartner’s Magic Quadrant we wanted to move from bottom left to top right in terms of our ESP and Campaign Management Platform and to accommodate this we took the decision to expand our relatively small in-house creative team to remain budget neutral in the first year and introduce a cost saving going forwards. This not only allowed us to meet our goals, but hopefully had a positive impact in terms of employee engagement as the variety and quality of work would change for everyone involved. 2.What services/activities does Virgin Atlantic manage in-house?